The Hobbit is the unforgettable story of Bilbo, a peace-loving hobbit, who embarks on a strange and magical adventure. A timeless classic. Bilbo Baggins enjoys a quiet and contented life, with no desire to travel far from the comforts of home; then one day the wizard Gandalf and a band of dwarves arrive unexpectedly and enlist his services - as a burglar - on a dangerous expedition to raid the treasure-hoard of Smaug the dragon. Bilbo's life is never to be the same again. Seldom has any book been so widely read and loved as J. R.R. Tolkien's classic tale, `The Hobbit'. 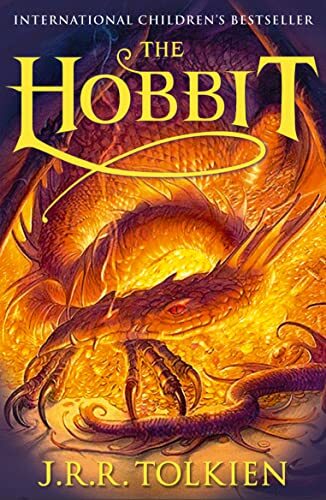 Since its first publication in 1937 it has remained in print to delight each new generation of readers all over the world, and its hero, Bilbo Baggins, has taken his place among the ranks of the immortals of fiction.